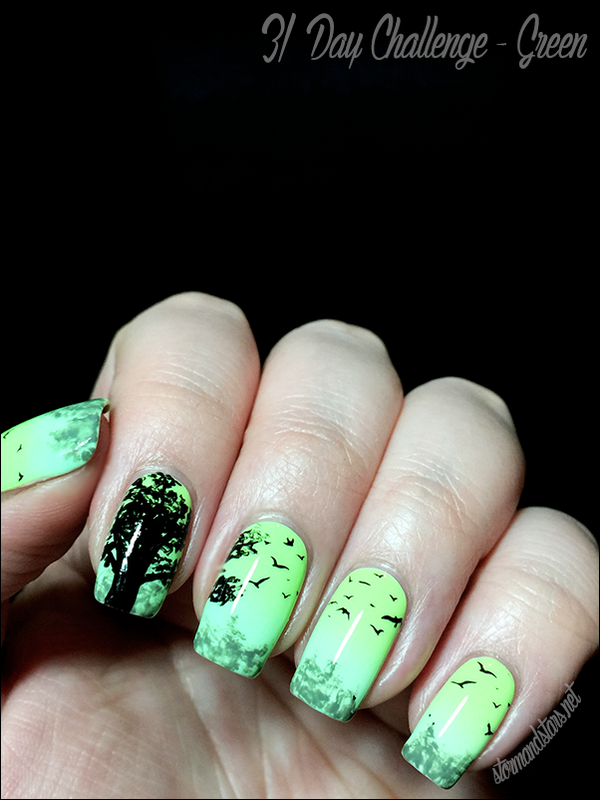 I wanted to keep it looking like artwork, so I used a tiny brush to lightly dab the paint on for the tree and the lower treetops along the bottom. 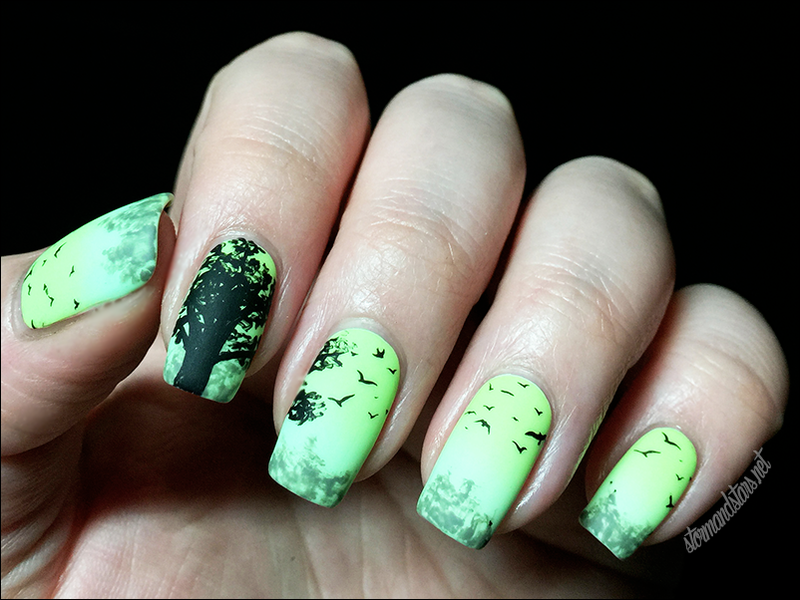 The black is just my black Stripe Rite Striper and the darker green is Cult Nails Grunge. 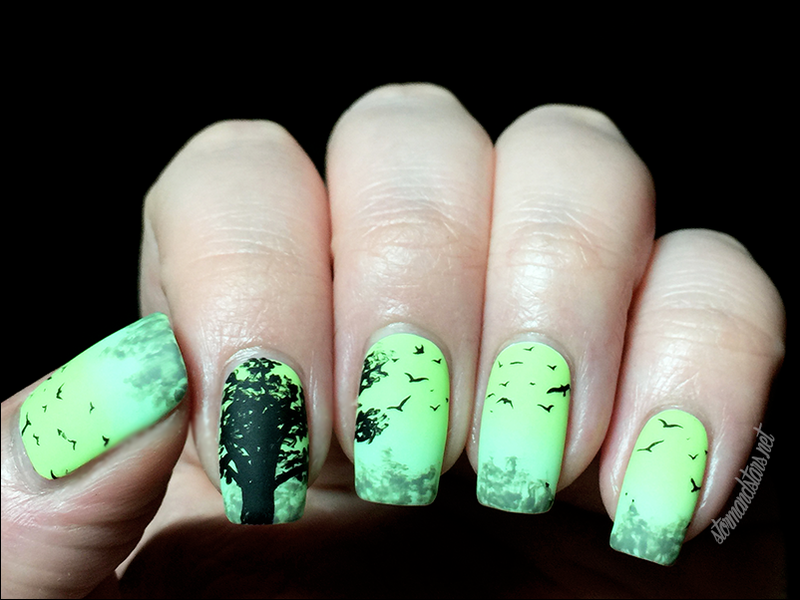 I used my 2-03 Plate from Uber Chic Beauty along with my trusty Cult Nails Nevermore to stamp on the birds along the top. 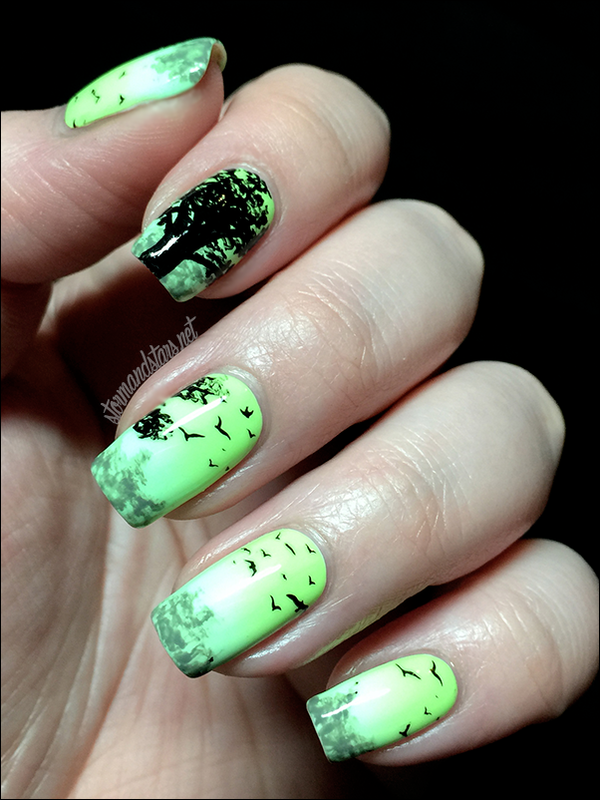 I added a shiny topcoat as you can see above, but of course I also had to try these matte. 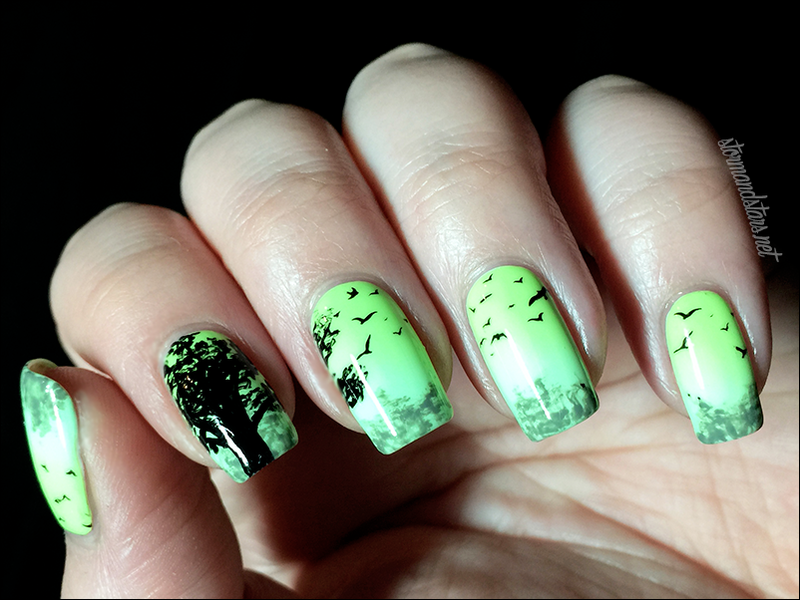 Allison @whimsicalicious said they look more "eerie" that way. What do you think? 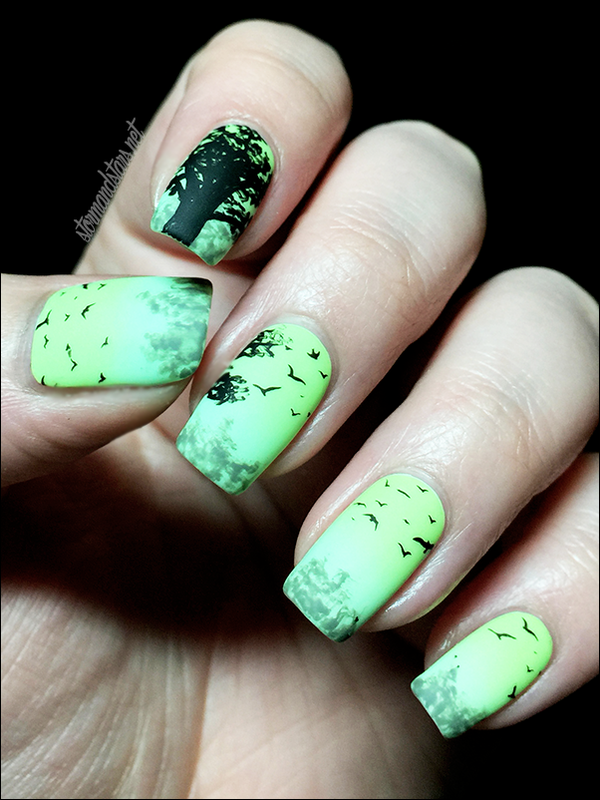 This is the first time I've done a nail art like this, and I can't help but love them. I am really enjoying wearing all these designs, even if it is only for a day at a time. Where do you find your nail art inspiration?